Supporting Letters are sought for the Millennium Technology Prize 2018 nomination for ALD and Tuomo Suntola, especially to help describe the societal impact of ALD. Since the day I promised to nominate atomic layer deposition and Tuomo Suntola for Millennium Technology Prize 2018, I have received positive feedback from many people and organizations, as well as questions on how one can support the nomination. 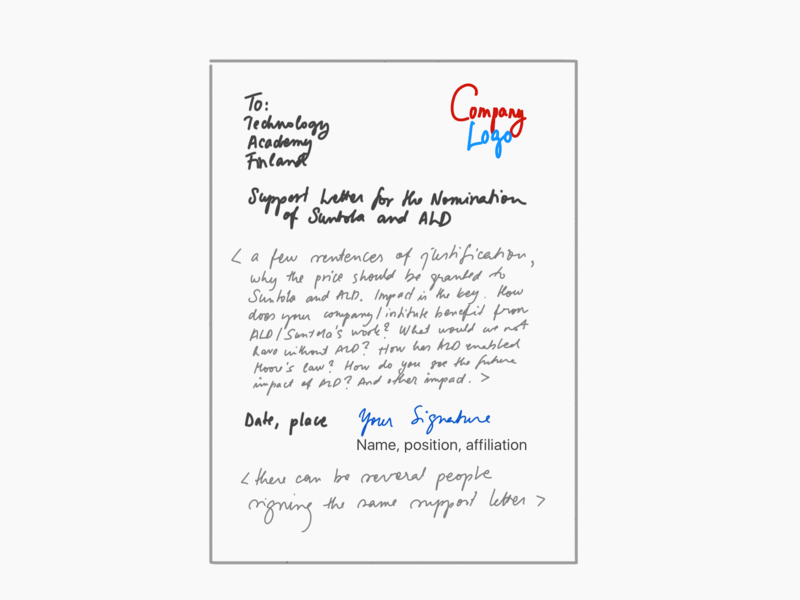 Can Supporting Letters be prepared by individual persons or organizations? How does one prepare a Supporting Letter? 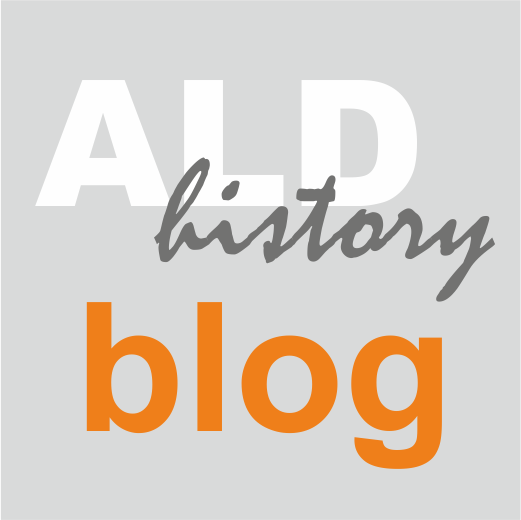 I try to answer all questions in this ALD History Blog post. Scheme showing how a Supporting Letter could look like. Who can make a nomination? One finds the answer in the instructions by Technology Academy Finland (TAF) giving out the prize. Page http://taf.fi/en/millennium-technology-prize/ defines as follows: "Nominations for the Prize can be made by science academies, universities, research institutes and industrial organizations". Thus, nominations are not made by individuals (as I may have erroneously told earlier), but by academic or industrial organizations. It follows that I will naturally make the nomination from within Aalto University. Also, in addition to the Nomination Letter, I will take care of the nominee's permission and Curriculum Vitae. Who can provide Supporting Letters? As detailed in the instructions, providing Supporting Letters is optional. Further, I cannot find detailed instructions in the TAF website of requirements on who can provide supporting letters. My interpretation therefore is that Supporting Letters can be provided by (i) academic or industrial organizations, similarly as nominations, or by (ii) well-informed individuals. What information to include in the Supporting Letter? 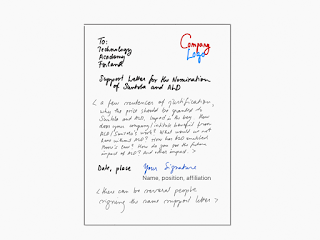 I of course will do my best to highlight already in the nomination letter, how ALD as invention (i) has been disruptive and has significantly enhanced people's lives for example by in its part enabling the continuation of Moore's law, resulting in faster computing and better memory performance, (ii) has already delivered change and certainly doing so in the future, too, and (iii) there is a lot of cutting-edge research and development going on enabled by ALD. Of these, in my view, item (iii) is the easiest to explain, through showing the masses of scientific and patent publications appearing on ALD, the many conferences devoted to it, and the high number of doctoral theses on ALD worldwide (conveniently, information collected in VPHA). I would appreciate if the Supporting Letters would provide evidence for (i) and (ii). These, in essence, require the description of the societal impact of the ALD. Where is - to your exact knowledge - ALD applied in practice? I am not requesting anyone to reveal business secrets, but the more concrete the information, the better and more convincing it will be. Who benefits from ALD? How have you observed in practice that ALD enhances the quality of people's lives? (The effect will be indirect, as for many innovations, but it can still be put in words.) How can one describe the extensive change delivered by ALD? To make it easier to write supporting letters that “go to the point”, Prof. Sean Barry (Carleton University, Canada) has kindly helped to formulate a few questions, to which the supporting letters can answer. The questions are as follows. In what way is ALD a disruptive technology from your point of view? How is Tuomo Suntola’s original work influencing ALD today, and what is his importance to the field? What practical applications of ALD do you consider the most important? How will ALD influence future science and technology developments? It is important that the Supporting Letters - as the nomination, too - are written in words free of professional jargon, as the nomination materials will be evaluated and need to be understood by experts who come from different scientific and technological fields. The current selection committee members are described here: http://taf.fi/en/millennium-technology-prize/international-selection-committee/. A further note on the length of the Supporting Letters. While there are no rules for this, I believe that one page should be enough. My feeling is that the shorter the text, the more powerful it is. Of course, this is just my wish and you may write a longer one if you like and I will pass it on in any case. I copy again below the "model supporting letter". Scheme of a nomination support letter, to be addressed to Technology Academy Finland (http://taf.fi/en/). Where and when to send the the Supporting Letter? The nominations and supporting letters - probably most conveniently signed documents scanned into pdf's - are submitted via the TAF website. A link to the nomination portal is found in the webpage: http://taf.fi/en/millennium-technology-prize/call-for-nominations/millennium-technology-prize-nomination-instructions/. The link to the submission portal looks as below, "Submit your nomination here". I believe that anyone can provide the Supporting Letter via this portal. Of course, you can also send the Supporting Letter to me, and I can submit them via this portal. If you wish me to make the final submission, please send the final document to: riikka.puurunen@ aalto.fi (delete the space before "aalto"). Whoever enters the letter in the portal, please please address your Supporting Letter to the Technology Academy Finland (and not to me - if you want, you add me as receiver of copy/cc). The deadline for the nominations and supporting letters is July 31, 2017, as seen in the nomination instructions. As I see, the time zone has not been defined in the instructions; safest is to assume that this will be Finnish summer time, which is UTC/GMT + 3 hours. If you want me to make the submission, I would appreciate to get the documents a few days earlier, say, latest Jul 28, 2017. If you have questions, you can (i) write them as a comment to this post, (ii) contact me through Twitter (@rlpuu) or send email to my Aalto address, riikka.puurunen@ aalto.fi (delete the space before "aalto"). Where were you when I asked that question?